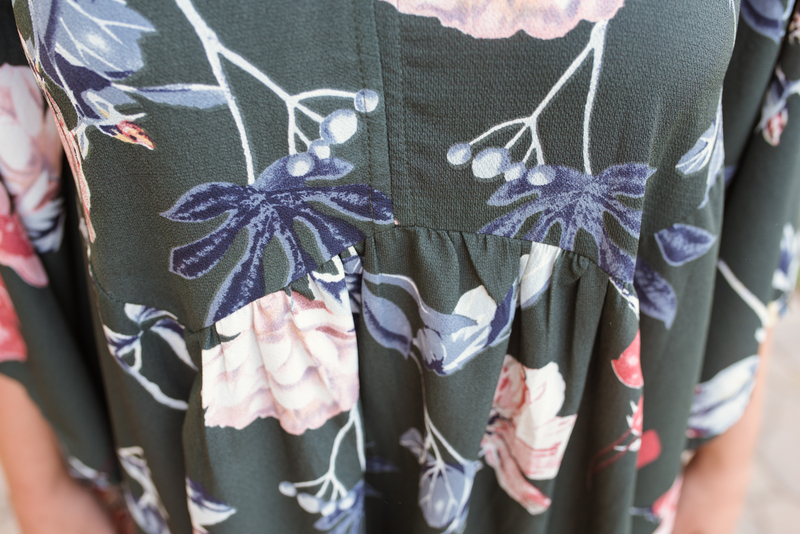 I absolutely love the colors of fall and the floral pattern of this dress is beautiful! As soon as I saw the colors on the rack, I knew I had to have it. The cut of this dress is so flattering. The sleeves and skirt are both flowy and so comfortable. This dress would be perfect for Thanksgiving. I loved pulling out the blush accessories for this outfit. These earrings are some of my favorites and add a pop of color. These shoes are so comfortable and a great transition shoe while we still have some warmer temperature. As it gets a little cooler, putting a duster over this dress and adding OTK boots help transition with the weather. These earrings really dress up this outfit. They are a little heavy, but I just love them! These boots are my favorite and you will see them often :). This duster is a great piece and could be added to so many outfits. I absolutely adore this dress and the boutique from which it came from. I am so excited to announce that I have partnered with Firefly Boutique and I can’t wait to show y’all more of their adorable clothes! Exciting things to come! Love that dress and those boots are awesome!! !